Is Apple a hardware company? Without question. They make the vast majority of their money from products they design, have manufactured, put in boxes, and place on store shelves. But that only tells a fraction of the story. Apple wants to provide more than the whole widget. They want to provide the whole experience. Apple has never been about widgets. They are not a gadget company. They are an experience company. And that includes software and services. While the industry focuses on iPhone 7 hardware prognostication, they are possibly missing the bigger story. Apple never pushes hardware platforms without a software, firmware or service component. It is never about hardware for hardware’s sake. It is about enabling an experience. There has been some speculation about whether the iPhone 7 will be case compatible with previous iPhones. Because of the new camera system, the answer is almost certainly NO. All of the leaked images show that even the smaller handset has a significantly larger camera. There is no way it would fit into current cases. However, it is possible that iPhone 7 Plus screen protectors will be compatible with the iPhone 6 Plus. That means that you can count on similar protective glass screen covers for the iPhone 7 as exist for the iPhone 6 Plus. They will likely be ready on the day of iPhone 7 availability. The new camera system definitely means a new case is in your future. But it also might mean new software like scanner/OCR. The only thing holding back that software on mobile is tiny cameras that can’t take in much light. This new glass might be enough to make the iPhone a viable scanner replacement. With Apple’s push into enterprise, this is a possibility worth watching. The iOS 10 betas already include an outstanding magnifying glass built in. It will be amazing with even better glass. The new camera will greatly improve accessibility. Improved productivity is the next frontier. Among tech pundits, the Siri remote that ships with the Apple TV is universally hated. Apple has partially addressed the problem by shipping a Siri remote app for the iPhone. While that saves some problems, it creates new ones. We know that Apple is removing the headphone jack. It was first thought the extra space would be used for an additional speaker. Now, there is speculation that it will be a microphone. Imagine what could be done with a bigger, better mic. The iPhone might displace the Amazon Echo for hands-free home automation, digital assistant, and yes, even a hands-free remote. Now that the Siri remote is on the iPhone, it is not a stretch that it could be voice controlled with the Hey Siri function. One of the main things that separates the Echo from the iPhone is a good microphone array. A better mic could enable the spoken interface to extend to controlling the Apple TV. There is a vocal minority that desperately wants there to be a dark mode for iOS. There have been hints that Apple is working on this feature. Some speculate it will come when Apple switches to OLED displays rumored for 2017. But the True Tone display is a big leap in contrast, color accuracy, and all around beauty. It is easily conceivable that Apple could push dark mode out on the new phones with True Tone screens. 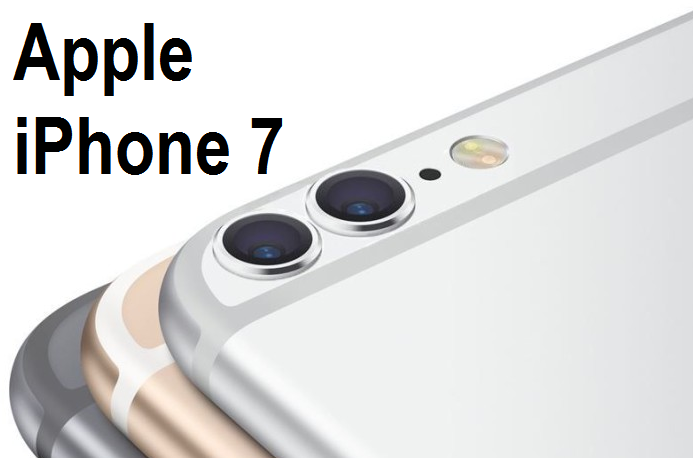 Keep the iPhone 7 rumors coming. We don’t have long to wait before all is revealed. Just remember, like Siri in the iPhone 4S, the good stuff is not the hardware. It is what Apple does with that hardware through software and firmware services that make it interesting. The all new iPhone 7 with iOS 10 firmware release date has been announced by Apple, and is expected to be released in next month i.e. September, 2016.